Information has become an important input in ever-increasing knowledge-intensive agriculture. Information is more critical for the small-holder and resource poor farmers and producers who have been facing challenges posed by income generation with the limited resources in the struggle for their livelihoods and sustenance. It is true that they are not only resource poor but also information poor. The information needs of the resource poor small farmers and producers is fast changing due to climate change and its impact on agricultural practices; need for rural non-farm employment and income generation; integrated farming; agri-entrepreneurial opportunities; access to modern markets, food safety for consumers and depleting natural resources. Now they need very crucial information for running their farm business management activities efficiently than ever before. New dimensions in agricultural research-extension-farmer-marketing continuum and increasing relevance to value chain-wise learning by multiple players in agricultural industry which demand knowledge-driven agricultural advisory services to all stakeholders. The extension mechanism, which is conventional, mandated to provide necessary information support to farming community often fail due to a variety of inherent problems in addition to ever-increasing learning needs of stakeholders that are continuously changing due to globalisation. This is where applications of Information and Communication Technology (ICT) in Agricultural Research for Development (AR4D) are offering immense opportunities to strengthen agricultural extension system all over the world. The potential of ICTs is significant in making AR4D more inclusive through highly targeted and location specific information services; delivery of ICT-enabled services such as market access, access to export markets, traceability systems, mobile extension services etc. To add to this, the advances like cloud computing, availability of new generation mobile technology in many developing countries and Global Information Systems (GIS), ease of web 2.0 technologies and social networking at all levels have increased opportunities for new ways to share and exchange information and knowledge with wide range of stakeholders. It also led to improve agricultural advisory services and encourage innovative partnerships in Information Communication Management for Agricultural Research for Development (ICM4ARD) for greater impact and income generation by farmers. There are notable ICT attempts in agriculture and rural development which not only provide lessons on connectivity and device development but also offer more insights into Information and Communication Management (ICM) issues related to digital content development, end-user needs, policy support, digital intellectual property rights, open access issues, standards for greater coherence, information and knowledge management, security of information systems, research in ICT/ICM, socio-economic impact, institutional and process interventions to manage all these continuous changes. This specialized body of knowledge, cutting across disciplines, opens up great learning opportunities for all stakeholders in AR4D and it forms a key component to improve their capacities for leveraging ICT/ICM for AR4D. 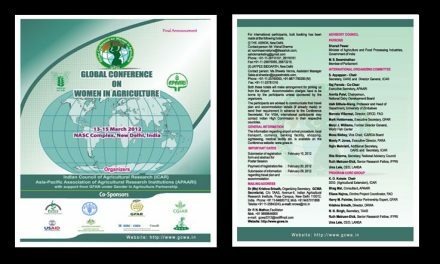 In order to enhance the stake of ARD in ICT4D, a series of global initiatives have been started by the Global Forum on Agricultural Research (GFAR), the Food and Agriculture Organisation (FAO), the Consultative Group on International Agricultural Research (CGIAR) Centres and certain Associations (IAALD, AFITA, EFITA etc). Initiatives such as Information and Communication Management for Agricultural Research for Development (ICM4ARD) Global Partnership Programme (GPP) by GFAR; Agricultural Information Management Standards (AIMS) of the FAO and the Coherence in Information for Agricultural Research for Development (CIARD) initiative are significant and helped organizations at global, regional and national levels to leverage ICT/ICM for AR4D. The recent international workshop organized by GFAR in association with ICRISAT/CGIAR, FAO and APAARI in December 2009 reasserts that capacity development in ICT/ICM on a significant scale is one of the important action areas to enable ARD researchers and innovators at all levels to make better use of host of new developments, and to foster content generation in the digital realm in a substantial manner. 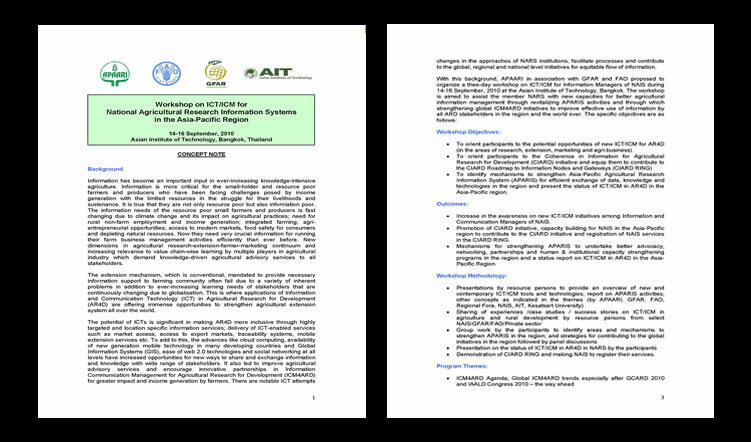 Asia-Pacific Association of Agricultural Research Institutions (APAARI), as a regional forum, has been promoting the use and application of ICT/ICM in AR4D in the region through its program Asia-Pacific Agricultural Research Information System (APARIS). APARIS is closely associated with GFAR, FAO and CG Centres to strengthen the ICT/ICM initiatives in the Asia-Pacific region through compilation of success stories on ICT in AR4D, advocacy and capacity building programs targeted to different groups of stakeholders viz., decision-makers, researchers and information managers from the member National Agricultural Research Systems (NARS). The current capacity of ARD stakeholders in the region is not adequate to harness the potentials of ICT/ICM opportunities in AR4D. This may be one of the important reasons for less participation of developing NARS in the present global and regional ICM4ARD initiatives. In the recent regional consultations for the Global Conference on Agricultural Research for Development (GCARD 2010), ICT in AR4D has been identified as an important priority area in the South Asia, Southeast Asia and the Pacific sub-regions for sharing knowledge and information and to bridge extension system to markets and highlights need for strengthening capacities in ICT to meet new and emerging needs. Advocacy and capacity development in new ICT/ICM for AR4D is necessary to enable all stakeholders at all levels to adopt new advances in technologies and knowledge management systems to create content in the digital realm and to make it truly available, accessible, applicable and appropriable in a sustainable manner. In order to accelerate application of ICT/ICM in AR4D in the Asia-Pacific region and to integrate regional and national efforts with global initiatives, capacity development of National Agricultural Information Systems (NAIS) is critical to improve information and communication management for generation, storage, processing and usage of content in most economic and effective manner and with equity of access and use by the global community. Building NAIS capacity would also enable appropriate changes in the approaches of NARS institutions, facilitate processes and contribute to the global, regional and national level initiatives for equitable flow of information. To orient participants to the potential opportunities of new ICT/ICM for AR4D (in the areas of research, extension, marketing and agri-business). To identify mechanisms to strengthen Asia-Pacific Agricultural Research Information System (APARIS) for efficient exchange of data, knowledge and technologies in the region and present the status of ICT/ICM in AR4D in the Asia-Pacific region. Increase in the awareness on new ICT/ICM initiatives among Information and Communication Managers of NAIS. Promotion of CIARD initiative, capacity building for NAIS in the Asia-Pacific region to contribute to the CIARD initiative and registration of NAIS services in the CIARD RING. Mechanisms for strengthening APARIS to undertake better advocacy, networking, partnerships and human & institutional capacity strengthening programs in the region and a status report on ICT/ICM in AR4D in the Asia-Pacific Region. Demonstration of CIARD RING and making NAIS to register their services. CIARD Advocacy and Capacity Building for NAIS in the Asia-Pacific region – CIARD: A New Way Forward-Concept, Values, CIARD Manifesto, and Checklist. How it is useful and how to contribute to it; equipping NAIS to adopt suitable tools and for making information sharable on CIARD RING platform. Content management issues – metadata standards, agricultural vocabularies, AGROVOC and the AGROVOC concept server workbench, description of digital resources, interoperability issues, intellectual property rights etc. Opportunities and Innovations in ICT-enabled Knowledge Management in AR4D through experience sharing on Agricultural Information and Learning Systems, Agricultural Institutional Knowledge Repositories (AGRIS DSpace, AGROVOC Plug-in for AGRIS DSpace). The workshop will be organized in sessions by following the above methodology and the themes. A detailed day-wise programme and guidelines for preparation of country status report on ICT/ICM in AR4D will be circulated shortly to the participants upon confirmation of nomination. 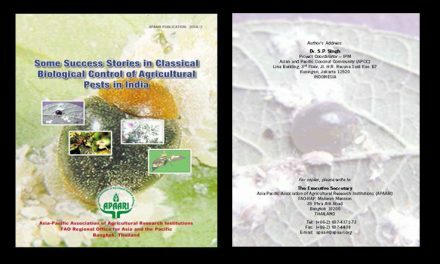 The workshop proceedings will be published jointly by APAARI, GFAR, FAO RAP and AIT. Asian Institute of Technology, Klong Luang, Pathumthani, Bangkok (Suburbs of Bangkok), Thailand. APAARI, Global Forum on Agricultural Research (GFAR) and FAO Regional Office for Asia and the Pacific (RAP) are the sponsors for this workshop with collaboration from Asian Institute of Technology, Bangkok. Members of the APARIS Steering Committee. The resource persons are drawn from GFAR, FAO, APAARI, select CG Centres, Regional Fora, Asian Institute of Technology, Kasetsart University and Private Sector entities.